The object of forensic psychological examination is mentally sane persons (a suspect, an accused, an acquitted, an exculpate; a convict, a witness, a victim, a plaintiff, a defendant; infant and juvenile children, adults and elderly people). 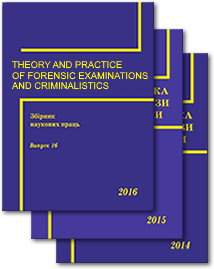 The main tasks of forensic psychological examination is to determine individual psychological characteristics, traits, leading personal features, motivational factors of mental life and behavior; emotional reactions and conditions; regularities of mental processes, their level of development and also individual properties of an examinee person. • Was an examinee person in the state of intense emotional excitement or emotional stress that can be regarded as psychological basis for intense mental disturbance state? • Was an examinee person during committing illegal actions in the state of physiological affection as psychological basis for intense mental disturbance? • What individual psychological characteristics does an examinee person have? 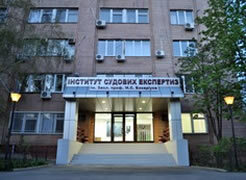 • Does an examinee person have individual psychological characteristics that have significantly influenced their illegal actions, crime or crime activity (it is indicated, what exactly is important for the court or investigation: intense aggressiveness, subjugation, cruelty, indecision, ethnic preferences, social norms, motivational sphere)? • Could individual psychological features of an examinee person influence significantly their behavior during committing illegal actions or crime? • Is an examinee person able to understand the nature and real meaning of their actions, control them and predict their consequences taking into account their mental development and individual psychological characteristics? • Does an examinee person have defections of mental development which are not manifestation of mental illness? • Can an examinee person correctly understand the nature and real meaning of their actions, control them, predict their consequences taking into account their mental development and individual psychological characteristics and emotional state? • Can an examinee person correctly perceive circumstances relevant to the case and evidence about them taking into account their еmotional state, individual psychological characteristics and mental development? • What was the emotional state of an examinee person during the period of time before their suicide? • Did the emotional state of an examinee person appear during the period of time before their suicide, as a result of an accused`s actions (indicate which one: violence, actions that are qualified as threats, cruel treatment or systematic humiliation of human dignity, etc.)? 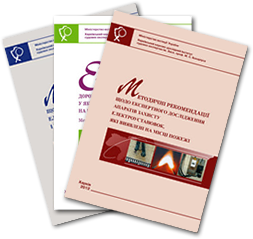 • What psychological peculiarities does the process of reproduction of the situation and circumstances of actions by a person include (based on video recording of investigative actions conducted with the participation of this person)? • What is the psychological characteristic of communicative activity of a person (surname, name and patronymic name) during reproduction of actions by them (indicate which ones) during conduction (the date must be indicated) according to their participation in investigative actions (on video recording materials of indicated investigative action)? • Are there any psychological characteristics in the behavior of a person, peculiar for self-derivative (influenced by other) reproduction of particular events during the conduction of investigative actions with their participation? • Does the video recording of production of the situation and events (date of conduction) with the participation of a person (surname, name and patronymic name) include the implementation of psychological impact from the persons who have taken part in conduction of this investigative action? • Is the situation that is being investigated psycho-traumatic for N (indicate name, surname, patronymic name)? • If it is so, does N (indicate name, surname, patronymic name) have suffering (moral harm)? • If the suffering (moral harm) have been caused to N (indicate name, surname, patronymic name), what is the possible amount of financial compensation for cased suffering? • What individual psychological characteristics does Mr. N have (indicate name, surname, patronymic name)? • What is the personal significance of the circumstances for Mr. N in which the agreement has been concluded? • What was the emotional condition of Mr./Ms. N during the concluding of the agreement? • Was it possible for Mr. N, taking into account determinate circumstances, to make decisions and realize them by their actions in full, free and consciously? • Was Mr. N able to realize real meaning and degree of their actions taking into account determinate circumstances? • Was Mr. N able to predict consequences of their actions in full? • Was Mr. N able to make suitable to the situation decisions in full and consciously to the situation and to implement them completely? • How do the family situation, individual psychological characteristics of parents (indicate if it is necessarily one or both parents) peculiarities of their educational behavior influence the emotional state, mental development and well-being of a child? • How can the conditions of education of both parents influence the psychological state and development of a child? • Does the assessment of the family situation depend on the impact of parents and other adults?